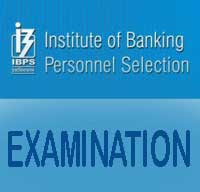 IBPS CRP RRB Notification 2017 – CRP RRBs VI Office Assistant, Officer Scale I, II & III Posts:- Institute of Banking Personnel Selection (IBPS) will be conduct online examination for the next Common Recruitment Process for RRBs (CRP RRBs VI) for recruitment of Group “A”- Officers (Scale-I, II & III) and Group “B”- Office Assistants (Multipurpose). Desirous & eligible candidates may apply online from 24/07/2017 to 14/08/2017. IBPS RRB Recruitment 2017 details is given below. For Office Assistant (Multipurpose): Degree in any discipline from a recognized University or its equivalent. Proficiency in locallanguage. Knowledge of Computer skills. For Officer Scale I: Degree in any discipline from a recognized University or its equivalent. proficiency in local language.Computer knowledge or awareness will be an added qualification. For Officer Scale II (General Banking Officer):Degree in any discipline from a recognized University or its equivalent with a minimum of 50% marks in aggregate. Two years as an officer in a Bank or Financial Institution. Information Technology Officer: Degree from a recognized University in Electronics/ Communication / Computer Science/ Information Technology or its equivalent with a minimum of 50% marks in aggregate. Law Officer: Degree from a recognised University in Law or its equivalent with a minimum of 50% marks in aggregate. Two years as an advocate or should have worked as Law Officer in Banks or Financial Institutions for a period not less than two years. Treasury Manager: Charted Accountant or MBA in Finance from a recognized university/ institution. For Officer Scale III: Degree in any discipline from a recognized University or its equivalent with a minimum of 50% marks in aggregate. Minimum 5 years experience as an Officer in a Bank or Financial Institutions. Starting Date of Online Application & Payment of Application Fee: 24/07/2017. Last Date of Online Application & Payment of Application Fee: 14/08/2017. Application Procedure: Eligible candidates may apply online through IBPS official website http://www.ibps.in from 24/07/2017 to 14/08/2017. Subscribe our free job alert mail for IBPS RRB Recruitment 2017.